Single and Return tickets can be bought from the driver on airline coaches. Please note that drivers cannot accept credit or debit card payments. To ensure a speedy service, please try to bring correct change onboard. Call our customer services team for information on timetables, fares, routes, general information or to make a complaint. If the number is busy then please leave your details and someone will return your call. Advisers are available between 07:00 – 19:00 Monday to Friday, 09:00 – 18:00 on Saturdays and 11:00 – 17:00 on Sunday. Hey Buddy!, I found this information for you: "Oxford Bus Company". 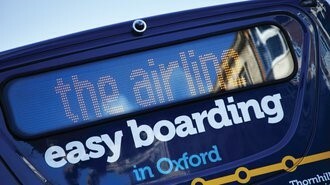 Here is the website link: https://oxfordlocals.com/ad/oxford-bus-company/. Thank you.